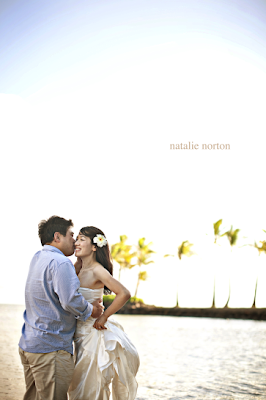 Pics and Kicks: Kahala Resort Wedding Photography. Had so much fun with these two little lovelies. 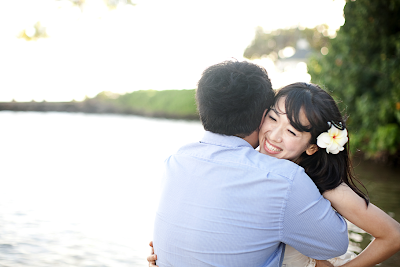 I also really enjoyed shooting at the Kahala Resort! Just beautiful, Natalie! They make the viewer feel like they're right there on Oahu, instead of the chilly plains of Minnesota! Beautiful couple, beautiful photography, you inspire me, and it's terrific to see you shooting and posting photos again. 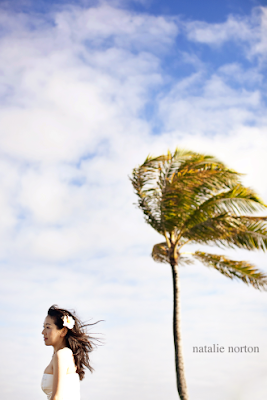 My favorite one is "The bride, the Palm Tree, and the Wind". . . . well, that's what I'd title it anyway. So beautiful. I am loving the windy bride on the rocks. Beatiful. I wish I could photograph like you. I just wanted you to know that I got a pertussis booster today in honor of your sweet baby gavin. You have made a huge impact on my life. WOW! Your photos are amazing! I love looking at your pictures. I wish you could have taken my wedding pictures! What wonderful memories for these couples to have! These photos... they are simply beautiful! Beautiful work! The love radiating out of them makes my heart smile. Such a fan of your BEAUTIFUL work!! Very inspiring! Your pictures are as stunning as your words are so real. Love everything about your blog. Would you consider writing a HOW TO - on getting that sky so BLUE and still having enough exposure on the subject. It's a hard thing to do - for sure! I recently hear about your blog from a friend of mine. I just wanted to let you know that your story has meant the world to me. Today, while working on a sunday, I was in need of some spiritual encouragement and it came by way of your blog. You have changed my life and I will be forever grateful. You will constantly be in my thoughts. I especially love the second one. Great Job! I love the swept-away feeling I get from the first photo -- breathtaking! GAH. 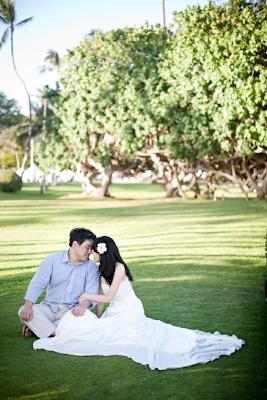 I want a wedding in Hawaii. I'm the bride in those pictures. I'd like to say thank to Natalie again. 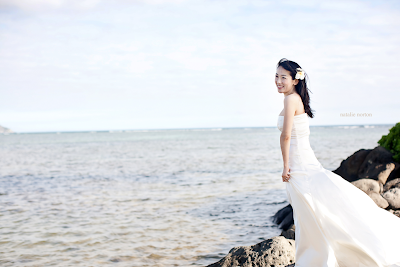 I had woderful honeymoon in Hawaii. You gave me great memories of Hawaii. your professional work, warm heart really touching. It was a precious day to be your model there.